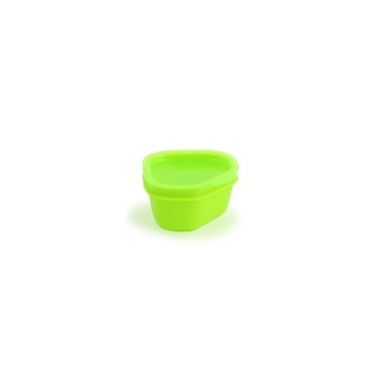 Goodbyn Little Dipper is a food container designed to store dressings, hummus, or yogurt, and fits perfectly in Goodbyn Salad or Sandwich, Small Meal, and Snacks containers (sold separately). Made entirely of FDA-approved materials, no BPAs or phthalates and lead-safe, Goodbyn Dipper is dishwasher-safe and made to last. And when it's time for a new one, Goodbyn Dipper is 100 percent recyclable. I really like these small snack/dip containers. 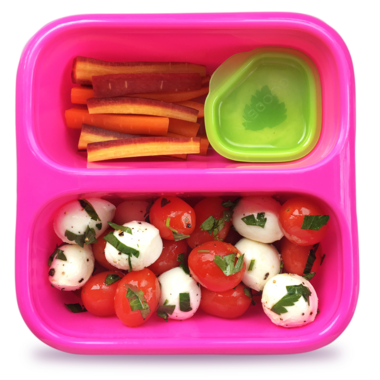 I bought several for my kids to use in their school lunches. The lid clicks firmly into place and I don't think it will leak with dips or sauces. They are easy to clean as well.